The Cairns Cruise Liner Terminal will welcome Pacific Eden tomorrow, September 6, for the final homeport turnaround in Cairns. After three successful homeport seasons, during which Cairns was the base for cruises to PNG and the Solomon Islands, Pacific Eden will travel to Townsville and then operate further south before leaving the P&O Cruise fleet in April 2019. “Pacific Eden began homeporting in Cairns in 2016 giving us the opportunity to showcase the Port of Cairns’ operational capabilities,” Ports North Chairman Russell Beer said. “We had seamless turnarounds which, by 2017, were the fastest per capita of any port in the country. “Our reputation is now locked in with the cruise shipping industry and we are ready for homeporting opportunities into the future. 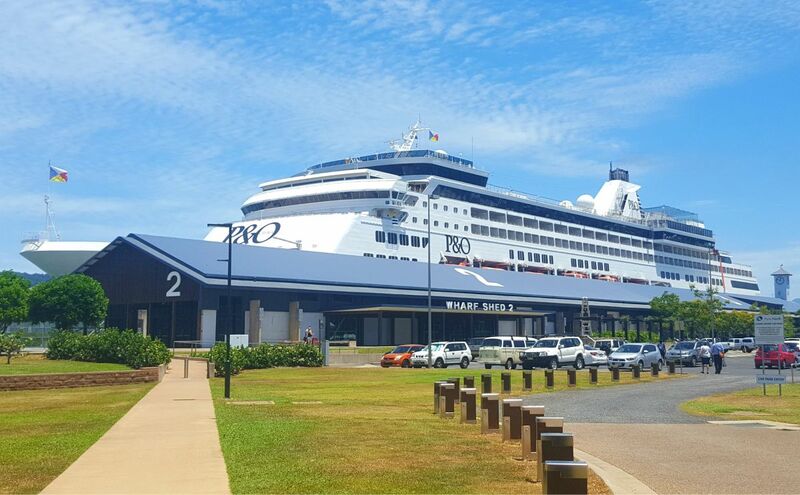 “P&O has been a strong supporter of the Cairns destination and we will continue working with them to grow cruise shipping in the region,” Mr Beer said. Pacific Eden is scheduled to dock at 0700hrs arriving from the Solomon Islands and carrying 1950 passengers and crew on board. Approximately 1342 passengers will disembark in Cairns. Another 1370 passengers will then be welcomed to the ship, which will depart for Townsville at 1600hrs.